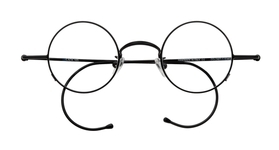 Unique prescription eyeglasses frames come in all shapes and sizes. We are constantly adding unique glasses to the unique collection, so keep checking back. These are not freaky styles; these are frames that are made to be worn and are either unique in exceptional value (price for the quality), or unique in design (one-of-a-kind and rare). Either way, the unique glasses here are specially selected. What makes a frame unique? Well for one thing it will be statisticially impossible to bump into someone else wearing the same pair of unique eyeglasses (think how embarrassing!). But really, these are amazing glasses due to their design, and unique eyeglasses show off the uniqueness of your personality.